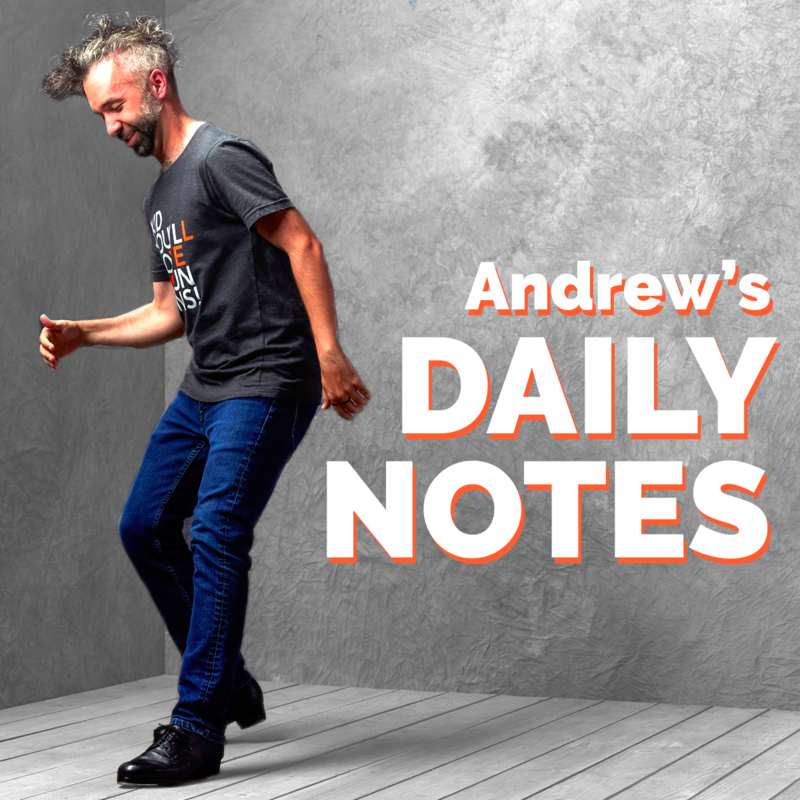 Andrew's Daily Notes - Thoughtful reflections, inspirations, or instigations. It depends on the day. Some things shouldn’t be up for debate, and if they come up, it should be ended. A method that is quick and succinct is preferred. While it might be “fun” to deconstruct everything, to find holes in every framework, somethings remain true regardless. 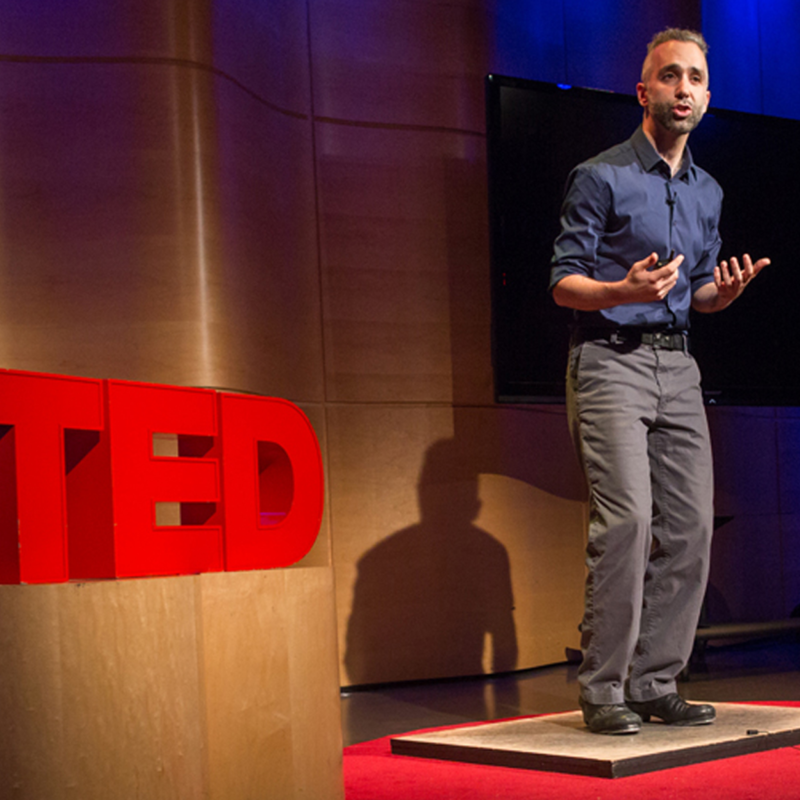 A simple example is that tap dancing will always sound and feel better with a proper wood floor. Ask a dancer to perform on a painted surface, metal, plastic, or rubber, and it won’t be a good experience for anyone involved. The sounds will be muddled or sharp, the movement restricted or uncontrollable. The “innovators” will say that by making such a statement I’m being a purist, nostalgic even. I say, find me another instrument to play that does what a good wood floor does. The conversation normally ends there. Other areas have a similar dynamic. Always, when the truth is pointed to, the debate should end. I’ve recently began two writing projects. 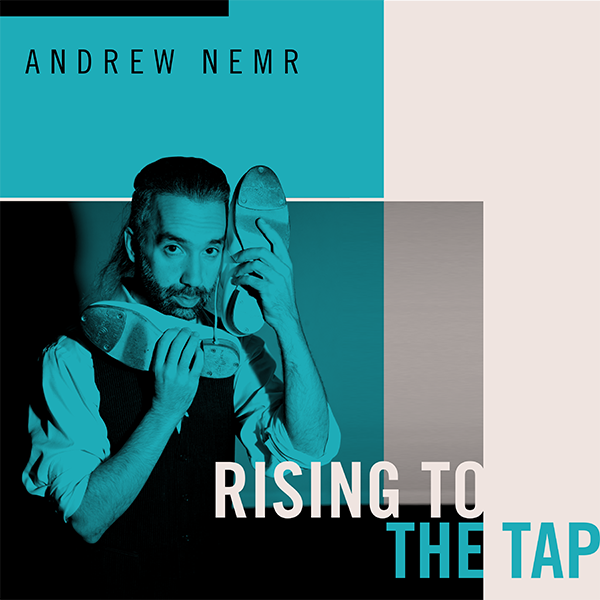 A poetry book (in collaboration with an amazing visual artist), and book about tap dancing. Writing is a newer endeavor for me, so I wonder a lot about whether or not I’m “good enough” to be doing it. But then again, becoming better only happens through repetition, iteration, and aiming for high standards (given either through the gift of one’s imagination, or through role models and mentors). I’ve been blessed with both, so I keep writing, and writing more than I have before. Check out a chapter I was asked to write in this new book! I was standing on the roof of a building with a friend and looked over the edge to see the view below. In the lot next to us was a construction site. They were just finished pouring the foundation. Sometimes where you want to go, or more clearly where you can go, is determined by what was laid at your foundation. If you keep hitting the same blocks, check to see if your foundation is strong enough. It’s an act of love to keep someone from building higher then their foundation allows. So check the foundation, then get back to building.